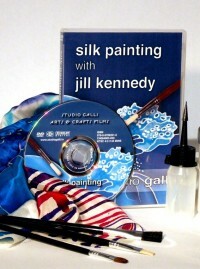 Rainbow Silks has been established for 25 years as retailers of silk painting, textile arts and mixed media supplies. We ship orders within the UK and internationally, and our shop is in Buckinghamshire, UK which you are very welcome to visit. There's a wide range of clearance products on our website and in store. Just click on Special Offers to find them. Whether a beginner or a more experienced textile artist, we can supply a fantastic range of products to use in your work. Whatever your interest - silk painting, fabric dyeing, batik, embroidery, sewing, quilting, feltmaking or mixed media - we are bound to have products to inspire. Gift Vouchers are available. 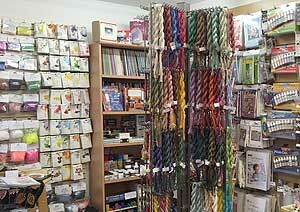 We can also put together a selection of threads, fabrics, paints and/or fibres to a specified theme or colour and price - great as a present for a creative friend, or for those studying textiles. If you need your order by a particular date PLEASE mention this in the Comments section when you place your order. We are open from 10am-4pm, Monday to Friday - do visit us for a warm welcome! You'll find everything on the website and more. We are located at 6 Wheelers Yard in Great Missenden, Bucks, which is through a large archway just to the right of 85 High Street - it's 3 doors to the right of the Roald Dahl Museum. Although located in a quiet village in the leafy Chilterns, we are surprisingly easy to get to. We are only 40 minutes by train from Central London, and close to the M40, M1 and M25. Parking is in the Link Road or Station car parks, with limited parking along the High Street.